Find great deals on major appliances, small kitchen electrics, floor care and more at Best Buy. Select Pacific Sales California stores only. Valid 4/18/19–5/15/19. Minimum savings is 5%. Discover how built-in cooking appliances offer modern, unique design possibilities for kitchens large and small. At Pacific Sales, we're passionate about rebuilding our communities and helping victims whose homes were lost or damaged. We're utilizing the resources and relationships at our disposal and have partnered with Sub-Zero Wolf, Viking, Thermador and Signature to offer excellent deals on appliance packages. If you are someone who could benefit from this program, please visit your local Pacific Sales store where one of our expertly trained associates will help. If you know someone who could benefit from this program, please share this information. via Visa prepaid card. Offer is valid on qualifying Sub-Zero, Wolf, Cove and Asko kitchen appliance packages. Offers ends April 30, 2020. Terms and conditions apply. Pacific Sales California stores only. via Visa prepaid card. Offer is valid on qualifying built-in kitchen appliance packages. Offers ends May 31, 2020. Terms and conditions apply. Pacific Sales California stores only. via Visa prepaid card with the purchase of a qualifying kitchen appliance package. Offers ends December 31, 2019. Terms and conditions apply. Pacific Sales California stores only. via mail-in-rebate and with the purchase of qualifying appliances. Offers ends December 31, 2019. Terms and conditions apply. Pacific Sales California stores only. in instant credit, which is taken off the retail price at time of purchase. Buy any Jenn-Air pro-style range or wall oven and cooktop or freestanding package to receive $1,000. Buy a built-in refrigerator and qualifying appliance to receive an additional $1,000. Offer ends June 30, 2019. Terms and conditions apply. In store only. or qualify for $1,000 back from Sub-Zero Wolf via mail-in-rebate when you buy a qualifying appliance package. Offer ends 6/30/19. See sales associate for more information. Pacific Sales California stores only. via mail-in-rebate. Plus, get a free dishwasher and save 50% on select ventilation with your purchase of select refrigeration and cooking appliances. Offer ends July 31, 2019. Terms and conditions apply. In store only. 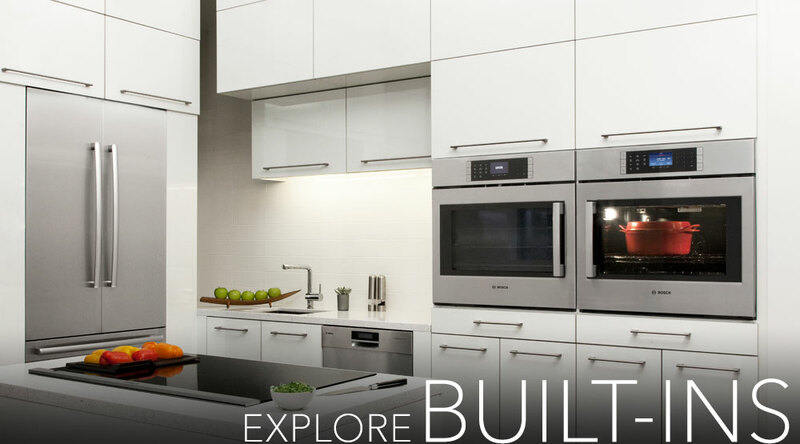 Plus, get a five-year warranty when you buy qualifying Fisher & Paykel appliances together. Offer ends 6/30/19. Terms and conditions apply. In store only. when you buy a select Samsung Chef Collection appliance package. Offer ends 6/30/19. Terms and conditions apply. Frigidaire promises that your new slide-in range will fit into a standard 30" freestanding range cutout, or Frigidaire will reimburse you for the cost of countertop modifications up to $100. Terms and conditions apply. Frigidaire promises that your new 27" or 30" single or double wall oven will fit your existing cabinet cutout of the same width and configuration, or Frigidaire will reimburse you for installation costs up to $300. Terms and conditions apply. Frigidaire promises that your new 30" or 36" cooktop will fit your existing countertop cutout of the same width and configuration, or Frigidaire will reimburse you for installation costs up to $100. Terms and conditions apply. Shop with confidence when replacing your wall oven with Amana. If your new wall oven doesn't fit, Amana will provide up to $300 toward the cost to professionally modify your existing cabinetry. Offer ends 12/31/19. Terms and conditions apply. Shop with confidence when replacing your wall oven, double wall oven or built-in refrigerator with a KitchenAid appliance. If your new appliance doesn't fit your existing cabinets, KitchenAid will provide up to $300 toward the cost of professionally modifying your cabinetry. Offer ends 12/31/19. Terms and conditions apply. If your new 27" or 30" Maytag wall oven or double wall oven doesn't fit, Maytag will provide up to $300 toward the cost of professionally modifying your existing cabinetry. Offer ends 12/31/19. Terms and conditions apply. Shop with confidence when replacing your single or double wall oven with Whirlpool. If your new appliance doesn't fit, Whirlpool will provide up to $300 toward the cost to professionally modify your existing cabinet. Offer ends 12/31/19. Terms and conditions apply. If your new GE, GE Café or GE Profile wall oven doesn't fit, GE will provide a prepaid Visa card worth up to $300 toward the cost to professionally modify your existing countertop. Offer ends 6/30/19. Terms and conditions apply. If your new GE, GE Café or GE Profile cooktop doesn't fit, GE will provide a prepaid Visa card worth up $100 toward the cost to professionally modify your existing countertop. Offer ends 6/30/19. Terms and conditions apply. If your new GE, GE Café or GE Profile slide-in range doesn't fit, GE will provide a prepaid Visa card worth up to $300 toward the cost to professionally modify your existing countertop. Offer ends 6/30/19. Terms and conditions apply. on major appliances purchases of $399 and up, kitchen & bath fixtures $1,000 or more. We offer haul-away of qualifying items for $19.99 each. on major appliance and kitchen & bath purchases $599 and up. 10% back in rewards on first day of purchases for new My Best Buy® Credit Card members. Get our latest promotions, sales and product news. Limited to Stock on Hand. No Rainchecks. We reserve the right to limit quantities. Selection may vary by store. Some products may not be displayed or physically available at any of the stores, but may be available for purchase as a Special Order. Not responsible for typographic, photographic or pricing errors.